This is the short version, but in 1977 I was 15 years old and I was nothing but trouble, that pic is me and my sisters back then (I am on top if you weren’t sure lol), anyway in May of 9th grade, 7 months into the school year, I had 32 days attendance which means alot of ditching, that and some other trouble got me kicked out of school, they wanted to send me to juvi (juvenile hall, prison for kids) luckily my dad, who had divorced my mom some years before, said I could come and live with him in a different county where I would be allowed to attend school, so I moved in with my dad. I loved and respected my dad, he was about all I loved and respected at that point, he was like a superhero to me, so this was great actually, he also told me I was acting crazy but he said I needed to think more about what I wanted out of life and less about what everybody else expected from me, and act accordingly, he told me to give it some thought and then act on I what I really want rather than just reacting to what others thought and expected of me, this was a new concept to me, nobody had put life in this context for me before. And it made sense to me, it got through, I was a smart kid even though I did alot of stupid things, and school and learning were easy for me, I got straight A’s up until junior high when I lost interest. I told my dad I would go to summer school and get all the credits I needed to graduate junior high, and I did, in a few months I got all the credits I needed to be an upstanding citizen again, he was proud and that made me proud of myself. 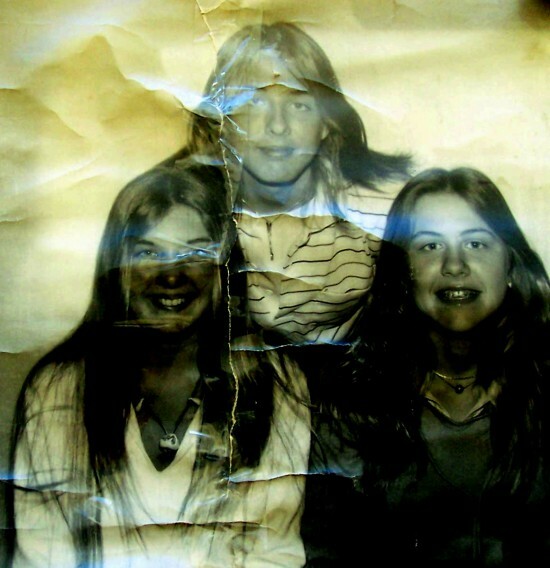 Unfortunately on July 28th 1977, 2 months after moving in with him in May, 37 years ago today, when he was only 39 years old, he died of a heart attack at dinner, it was devastating, I had to go back to the mom and step dad and possibly juvenile hall, fortunately my dad had taught me how to be a good salesman, how to sell myself, how to figure out what I want and go for that, and I pulled it off, I didn’t get sent back to juvenile hall. The next year when I was older, 16 years old lol, I took the GED and passed with flying colors, and I saw a 21 year old girl that was the coolest hottest best looking thing I had ever seen, remember 21 year old hot hotties don’t usually go for 16 year old boys, so this was a challenge, but I was a very cool kid and I remembered what my dad told me, go for what you want, so I went for it, now we have been together for 36 years and she is still the absolute love of my life and we have the coolest kid in the world and I thank my dad everyday for teaching me the basics that nobody else even mentioned before that.